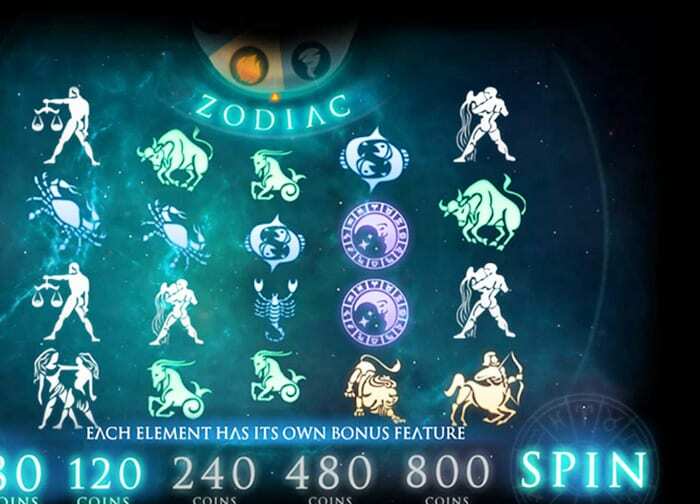 As the name suggests, the zodiac slot machine is true to its astrological name. If you believe in Astrology, this game gives you a chance to prove it. Slotland casino provides the game. It is up to you what you decide. Do you believe that only a skilled astrologer can reveal secrets? A gypsy? · The Wild zodiac wheels. · A scattered star charts. · A double or nothing gamble feature. It is possible for you to predict your fortune on a mobile phone. With 0.05 coins a spin, you can start stargazing. Every player can enjoy the online slot machine. When you hit a 5 x 3 reel grid, this is what you will find. You will be staring at the sky at night. Thousands and thousands of stars illuminate the sky at night. Your task is to find your shining star. If you want to, you can let the astrologer use his telescope. He can also use other tools to tell your future. If you choose a gypsy fortune teller, they use a crystal ball. You start winning immediately you see the first star in the sky. You get to win bonuses as well as prizes. Different letters mark varying patterns. There are up to 2,000 coins. You get 5,000 coins if you find telescopes. The telescopes will enable you to plot your path on the universe. If you get a gypsy and her crystal ball, you win ten thousand (10,000) coins. Luck is on your side if you get the sixty thousand (60,000) coin top prize. 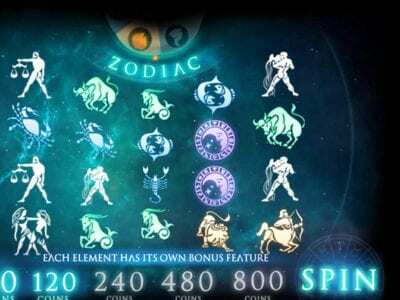 Wild zodiac slots wheel gives you an alternate means to win. You substitute the base game symbols on reels 2, 3, and 4. Above all, the win for the scattered star charts is 2,000 coins. Also, this is a win only when they are on reels 1, 3 and 5. Scattered star books will win you 10,000 coins. The gypsy fortune teller has a jackpot card bonus. The cards are not tarot cards. They are playing cards. As such, there is no death card. The player can get a lot of prizes and a jackpot. To get this, the player has to reveal three cards of the same suit. The player can also bet prizes less than three thousand, five hundred coins (3,500). Place this bet on the double or nothing gamble feature. This feature predicts if a playing card is either red or black.